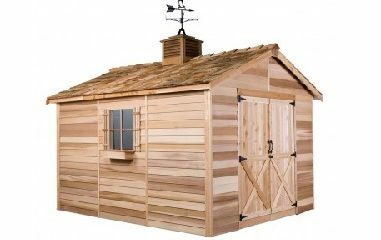 The CedarHoouse Kit from Cedarshed is a wonderful addition to your backyard. The shed includes a handy double door and comes with 2 fixed windows with shutters and planter boxes. The exterior finishing is 100% Western Red Cedar… environmentally-friendly, durable and aromatic.